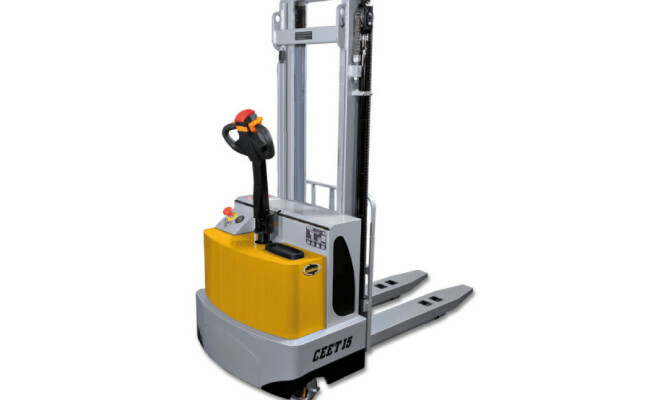 Lowering proportional control, joystick-controlled lifting and lowering. 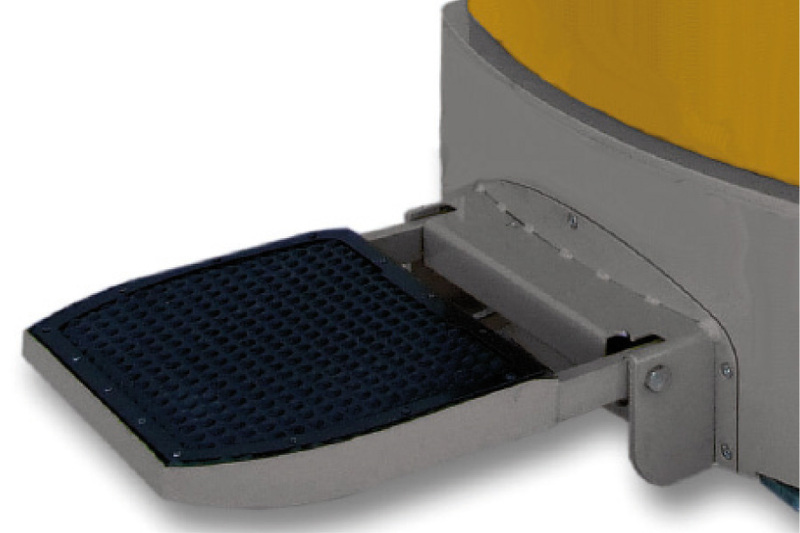 Creep speed button for safe manoeuvring in tight spaces with tiller in vertical position. 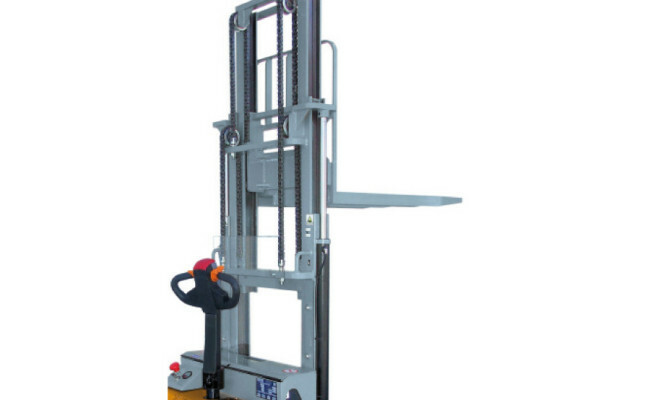 AC drive motor with kinetic energy recovery system. 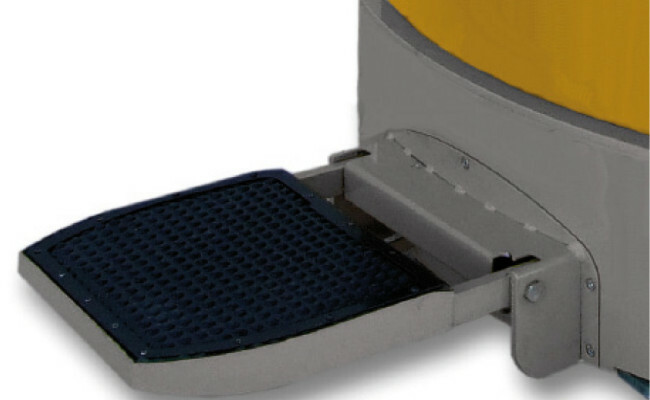 Circuitry compartment with removable yellow cover for ease of service. 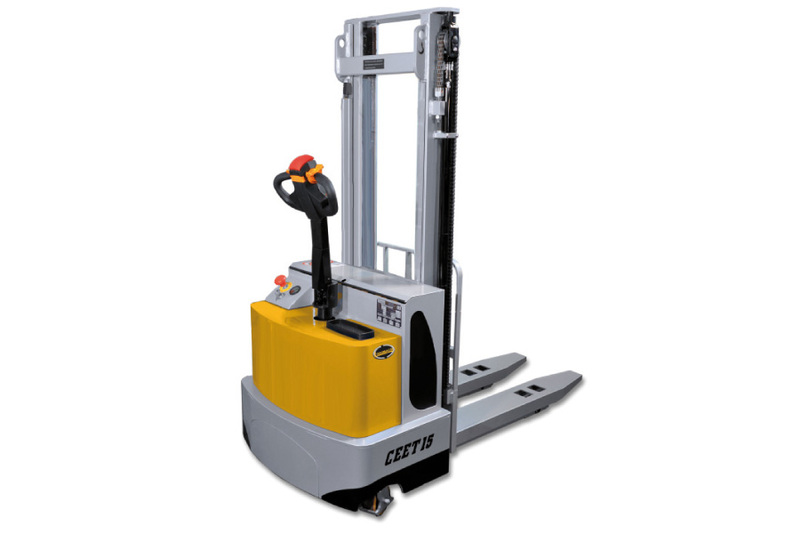 Its sturdy chassis and side castors ensure maximum stability and make it perfect for use with storage racks. 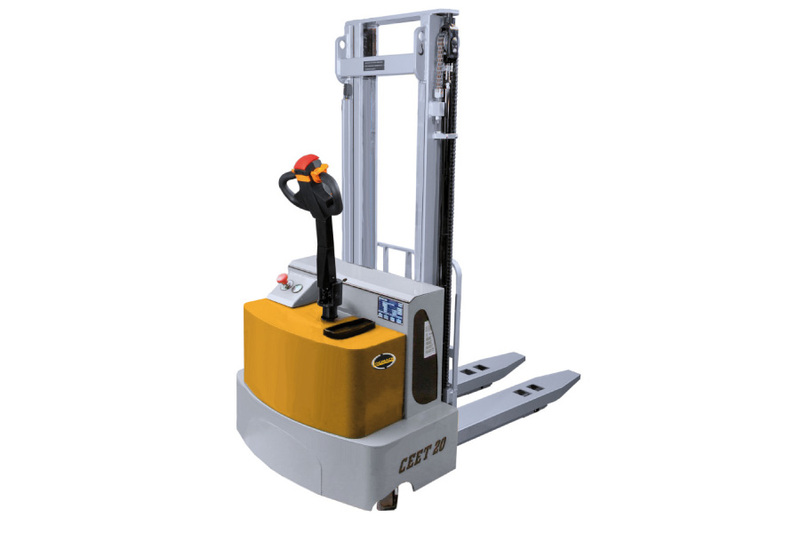 Its wide steering angle allows for easy pallet handling in tight aisles. 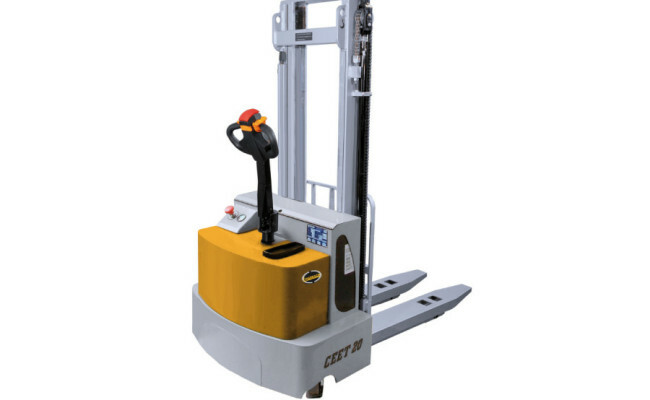 Safe – keep holding its ergonomic handle with both hands while lifting/lowering the load with one finger. 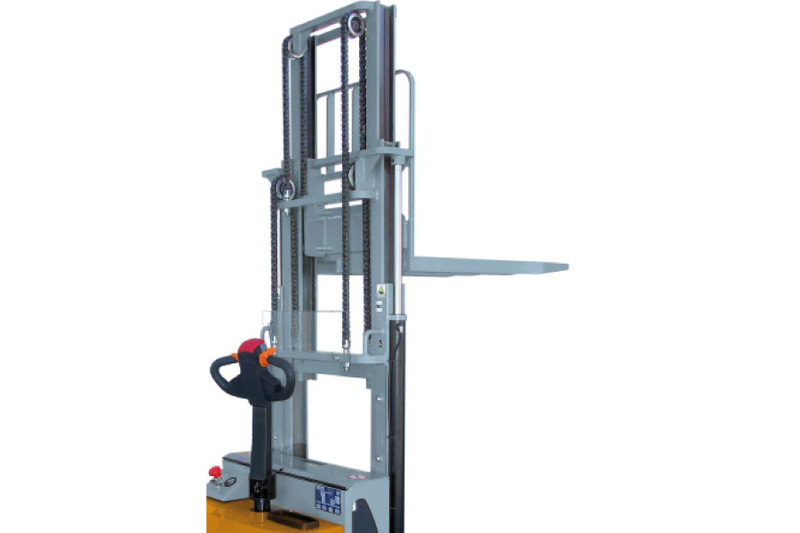 Gently lower the raised load – adjust the lowering speed thanks to its joystick. Joystick for lowering speed adjustment.